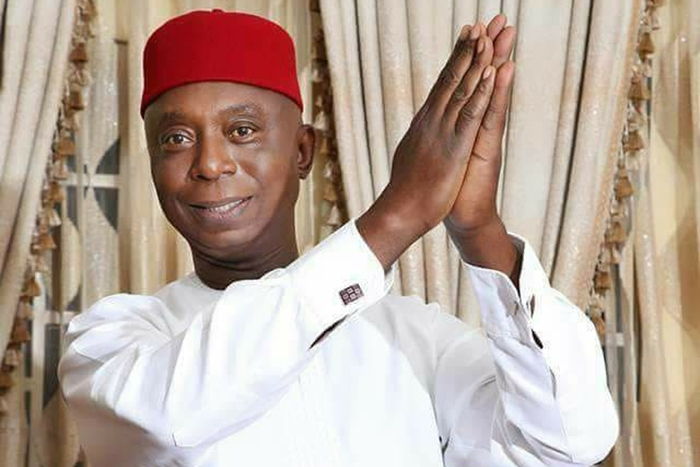 The lid has blown off the secret dalliance between Delta State politician, Ned Nwoko and 18 year old actress, Regina Daniels. 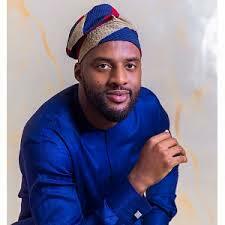 Those in the know revealed the former House of Representatives member, now a Senator-elect is the financial pillar behind the Daniel’s sudden flamboyant lifestyle. 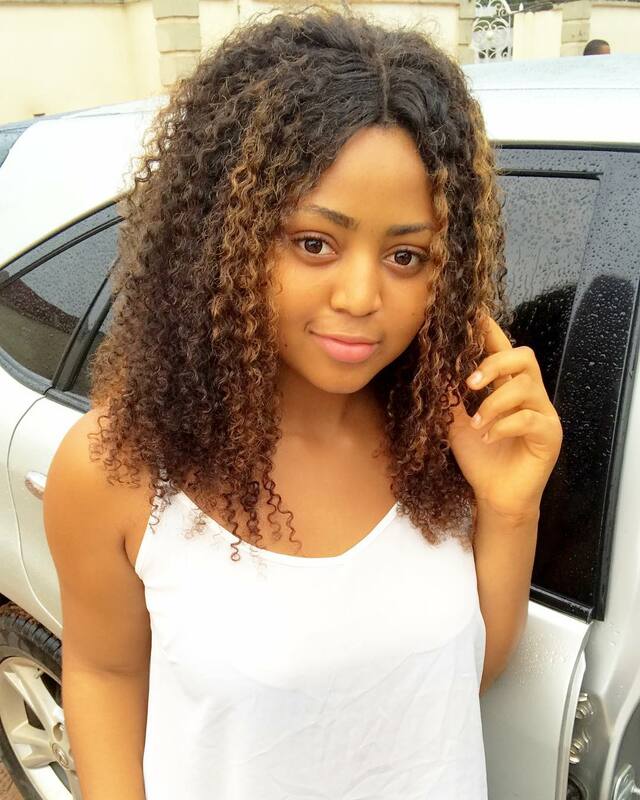 The teen actor all of a sudden became a social media sensation, acquired two expensive cars, bought a rolex watch and exhibited a luxurious living which people traced to the kindness of her 59- year-old lover. Regina was said to have been introduced to Ned by an older colleague who knows Ned’s preference for teenagers. The politician was said to have fallen for the actress beauty and smooth skin, kicking off an almost immediate amorous affair. 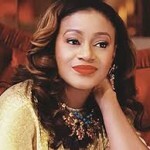 An unconfirmed report also claimed the politician had visited Regina’s Asaba home to seek her hand in marriage, a plan that would seal the union as the Senator’s 6th marriage. Regina’s parents were said to have welcomed the idea, as long as the politician is ready to fulfil his obligations and meet their needs. For the widow of the late strongman of Ibadan politics, Alhaji Lamidi Adedibu, Bose, it’s an exciting moment! 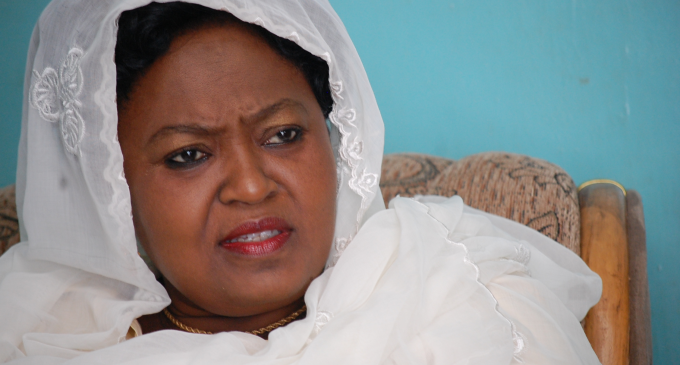 11 years after losing her politician husband, the beautiful woman has found love again. Those in the know claimed ‘Alhaja Bose’, who is a top member of the PDP in Oyo State is so smitten, that she hardly goes anywhere without her lover who is also a prominent politician in Ibadan. ‘They do things together, even their love affair is no longer news. We all know they are dating’. A source hinted papermacheonline. Alhaja Adedibu had revealed some years ago in an interview that she would consider giving marriage a second chance, if she has the right man. Is marriage in the offing? Its rather unlikely, as the man in question is a married man, blessed with kids. It is revealed he is just a figure in Bose’s life that cannot fade away. There were rumours that the two were childhood lovers, the man went abroad for greener pasture and luck smiled on Alhaja Bose, she met Adedibu and married him. After a long while, the lover relocated back to Nigeria, he was said to have won a ticket and became a House of Reps member through the help of his old flame who used all her influence for him. They were said to have been seriously in love, they enjoyed an unusual friendship even when Adedibu was alive, and when the politician died, their love rose to a higher ground. The man is said to be a frequent visitor at late Adedibu’s Molete residence where Bose is now the main occupant, he comes and leaves at will and on many occasion they both travel abroad on holidays. The loverboy is Remi Gbede, a handsome socialite and politician who was a former House of Representatives member when Adedibu was alive. Gbede who is also a member of the PDP in Ibadan is said to be enjoying whatever comes to him as he gets things done with his relationship with Alhaja Bose who is one of the few prominent women that has the ears of Governor-elect, Seyi Makinde in Ibadan. This is not the best of moment for ex Accountant General of the Federation under President Goodluck Jonathan, Jonah Otunla. The man who is being investigated for his role in the N2B arms fraud is said to be seriously sick. An insider within the family hinted that the socialite who owns the Ventura Mall in Ibadan is battling an undisclosed, life threatening ailment. Not only that, Otunla lost his younger brother, John some days ago. John was said to have died mysteriously and his death triggered his elder brother’s sickness upon receiving the news. As we speak, the ex AGF has been secretly flown abroad for proper medical care by family members. Some days ago when his case was brought up at the Federal High Court, Abuja, the presiding judge, Nnamdi Dimgba has threatened to arrest him for failing to appear in court for trial before his counsel informed the judge of his ailment. Otunla is said to be allegedly feigning illness to escape the hand of the law, a lead lawyer of the EFCC pointed to the tricks as he informed that Otunla’s accomplice, one Mr Adelakun was said to have suddenly dropped dead, a matter that is now being investigated. 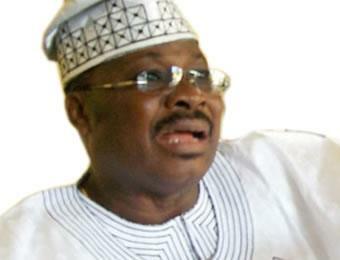 The Oyo State Governor, Senator Abiola Ajimobi is not finding it easy. The Governor widely known as the ‘Constituted Authority’ not only lost his bid to return to the National Assembly as a Senator, he also lost the governorship seat, reserved for his candidate, Bayo Adelabu to the PDP’s Seyi Makinde, an ordeal described by many of his supporters as nightmarish. 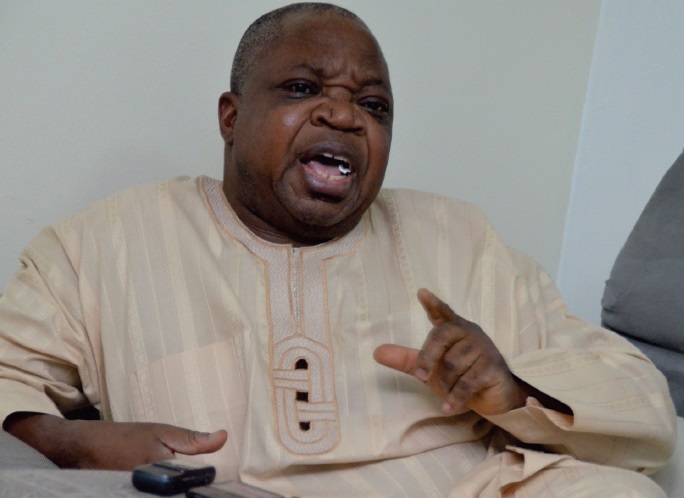 As if that wasn’t enough, the Oyo helmsman is having a tough battle with the family of late business mogul, Aare Abdulazeez Arisekola Alao who was one of his biggest supporters before his untimely death. The battle is in connection with a large piece of land where Governor Ajimobi built what he called his ‘retirement house’ in Agodi GRA of Ibadan. The house is a beautiful edifice which the Governor built as a gift for himself and the house he plans to move in after his exit in office. Insiders revealed that the house is a stone throw to the Government House and that Governor Ajimobi’s personal belongings has been moved from the State house to the new building. Largely sitting over 2 acres, the property has become the cause for a big fight between the Governor and the family of the late Arisekola. 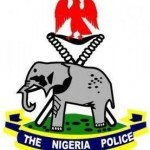 The Arisekolas alleged that the property belonged to their father while Governor Ajimobi explained that the property was given to him by the late business mogul. Some of the children of the late businessman who felt they were not treated well by the Governor after their d father’s demise explained that the Governor did not have the proof that their father gave the land to him before his death. They alleged that the Governor was trying to use his power to rob them of what truly belonged to them and they threatened to challenge him in court. 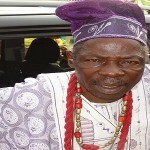 A source revealed to papermacheonline that the land in question belonged to a former Governor of the State, Chief Rasheed Ladoja who sold it to Arisekola when he was alive and that there is no strong proof to back Governor Ajimobi’s case that the land was rightly given to him by ‘Aare’ as Arisekola was fondly called during his lifetime. 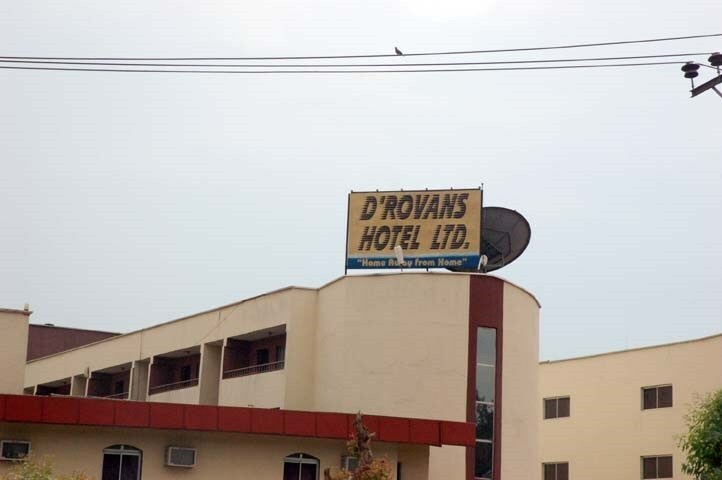 There are strong indications that the family of late businessman and boxing promoter, Chief Francis Ayegbeni has sold their biggest asset, the D’Rovans hotel in Ibadan. 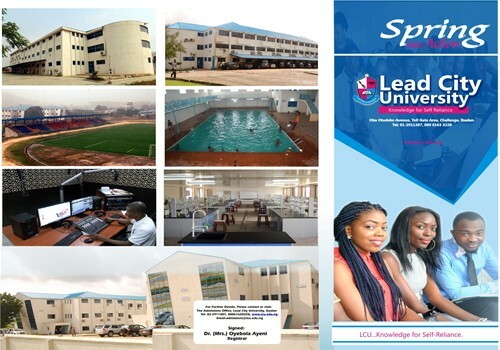 The hospitality haven that once reigned as Ibadan’s biggest entertainment spot in the 80s and 90s made the headlines about a year ago when it was sealed by AMCON over a 46 million naira debt incurred by the late owner. The hotel situated along Ring Road, Ibadan was under locks for about a year before succour came and it was opened. A source revealed to Papermacheonline that the family could not raise the money and after series of meetings decided to sell the place. It is also gathered that the D’Rovans hotel was acquired for an undisclosed sum by a former Commissioner for Finance in Lagos State, Ismail Adebayo Adewusi. 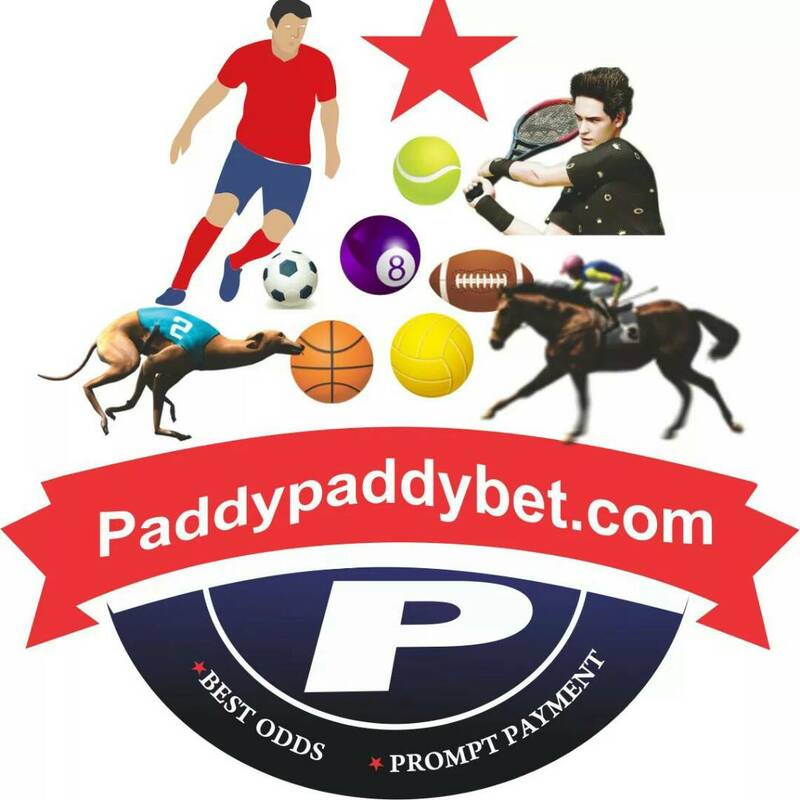 The politician tactically did not want to be linked with the acquisition as the deal was sealed by one of his aides, Sikiru Akiniran who signed all the necessary documents. A visit to the hotel by Papermacheonline witnessed some movements in and out of the property with hints from neighbou rs that carpenters, bricklayers and other technical workers come on a daily basis laid credence to a possible renovation of the building. The race has began! The lobbying to fill key positions as a new government is being prepared to take over the State in May, 2019. One of the key positions, the office of the Speaker which is regarded as the number three position in the State is said to be tilted towards the side of a 32-year-old lawmaker, Debo Ogundoyin. Debo, one of the children of late business mogul, Chief Adeseun Ogundoyin was elected into the Oyo State parliament after he won a bye-election when the Speaker of the house died and he won the APC candidate to occupy the vacant seat. Adebowale is representing the Ibarapa East constituency and he is said to be the only returned member of the 26-PDP members that form the majority in the 32-members Assembly. 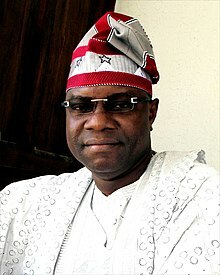 Ogundoyin, an agronomist is a graduate of the Babcock University and is claimed to be the perfect man for the seat based on different calculations. His dream to occupy the number three seat is not also enjoying a smooth sail as his marital status, experience and some other factors are part of the hurdles to be scaled. Ibadan and Kano are not just the largest cities in Nigeria, they are the most politically advanced cities in Africa’s most populous nation. but the truth is that they are more advanced in politics than any city in Nigeria. When it is time to retire their political leaders, they dont play ethnic or tribal cards. See how they permanently retired two in-laws in politics. When Governor Umar Ganduje and his in-law, Abiola Ajimobi lost their states, it was not because they performed poorly compared to Udom Emmanuel, the so called “Governor do Nothing” of Akwa Ibom State, Ben Ayade of Cross River or Okezie Ikpeazu of Abia who have been re-elected for a second term in their respective states. Ajimobi and Ganduje didn’t lose because the people of Ibadan and their brothers in Kano love the Peoples Democratic Party more than they love the All Progressives Congress; their electoral woes went beyond love for parties. The dollar saga and lack of respect for elders played major roles in what befell them at the polls. Ajimobi’s ‘Consituted Authority’ video and the viral video in which Governor Ganduje was seen collecting bribe from a certain contractor generated unfavourable responses before the election. Neither of them was able to explain exactly what led to the actions that were caught on tape to the people of their states. The good people of Oyo and Kano States took offence at the obbsessive tendencies of their governors. Though the governors seemed to have become immune to criticisms, the people made up their minds that they would not allow either of them to continue to serve them as their leaders . 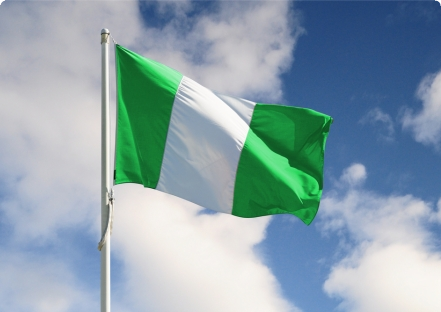 While you’re celebrating in Uyo, Calabar and Umuahia over the re-election of governors who have done worse things in their states than taking bribes from contractors, the people of Ibadan and Kano have demonstrated in this election how we can stop corruption in Nigeria. Ibadan and Kano have shown us all how to hold our leaders accountable. They have shown that power truly belongs to the people. Those who call Ibadan people illitrates and Kano voters almajiris are senseless. Underestimate the voters at your peril. Illitrate and almajiri voters who voted out Ajimobi and Ganduje because of corruption are 200 times better than the so called educated illitrates in the South South and South East who vote for and celebrate corrupt politicians regardless of their level of education. We need to copy Ibadan and Kano voters if we are serious about moving Nigeria forward. I am an Ibadan man and very proud to be.